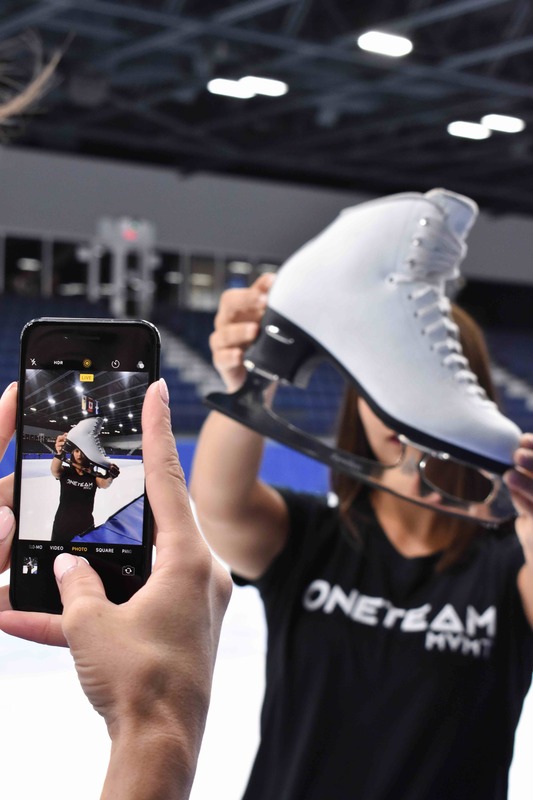 120 skaters, 40 coaches... OneTeamMVMT (OTM) which works to support synchro skaters around the world organized two camps this summer, one in the United States and another one in Canada. 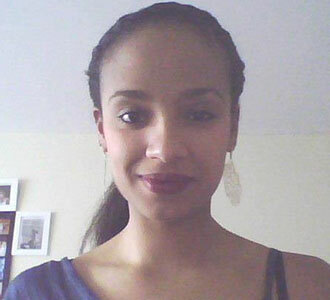 Interview with Lisa Miadovnik, the main organizer of these two events. Can you explain how you came up with the idea of a synchro camp? Lisa Miadovnik: Synchro camps have been happening for years (Miami, Nexxice, the ISU development camp, etc), but why pursue one for OTM? There are two reasons: I have been involved in running hockey camps for six years, and in that time, I have seen how massively impactful they can be. They create lasting friendships while teaching new skills in unique environments. They bring people together and that is what OTM is all about, so it seemed like a fitting way to support the development of the sport. 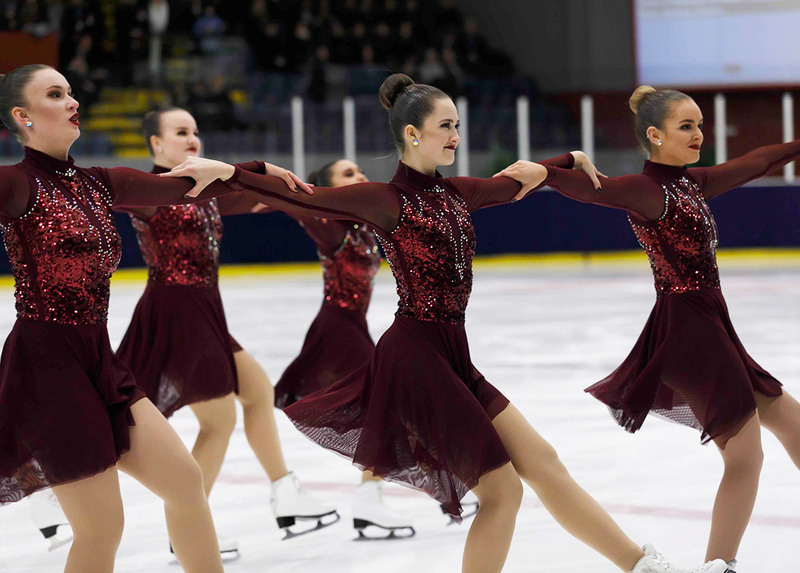 Secondly, it was important to us as an organization to develop a funding strategy so we can continue to build initiatives that support our mission for synchro. With the revenue from our camps (registrations, donations, and sponsorship), we will be able to support ambassadors to bring OTM sportsmanship initiatives to more competitions and impact more people. We’ll be able to host more monetary givebacks to support skaters. We’ll have a budget to create resources that help the sport grow. Simply put, the funding from our camps helps to ensure our longevity as an organization, as well as serve the synchro community better. How did you prepare these camps? As a board, we started discussing the idea of hosting camps in April of 2017. We piloted the idea and had amazing feedback, so the planning itself began in December. How long did it take? The better part of 40+ hours per week for 6 months. Just getting the registration set up took about 80 hours! This was all volunteer. Can you explain the schedule of the camps? What did the skaters do? We had about 24 hours of ice for each camp, and the skaters were divided into three groups based on skill level. 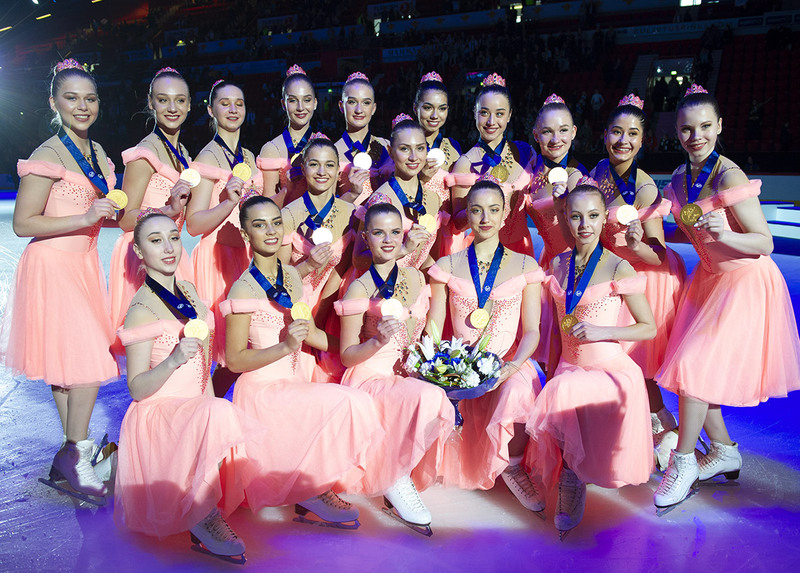 There were designated on-ice sessions for skating skills, synchro elements, tracking, and ice dance. 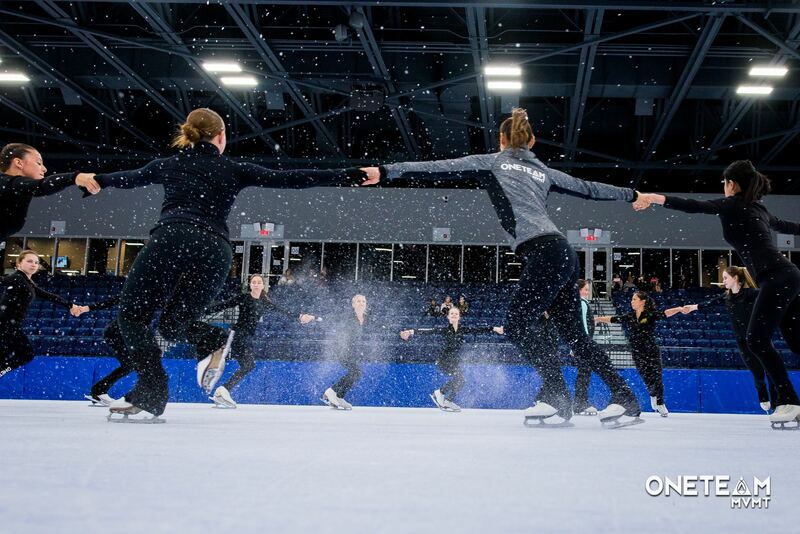 When they weren’t on the ice, they were busy in off-ice sessions that included dance classes, essentrics, yoga, fitness, theatre and acting games, as well as seminars like nutrition, sport psychology, goal setting, and injury prevention. We had a few sponsored sessions from Lululemon, Accès Physio, RBC, and Jackson Ultima. 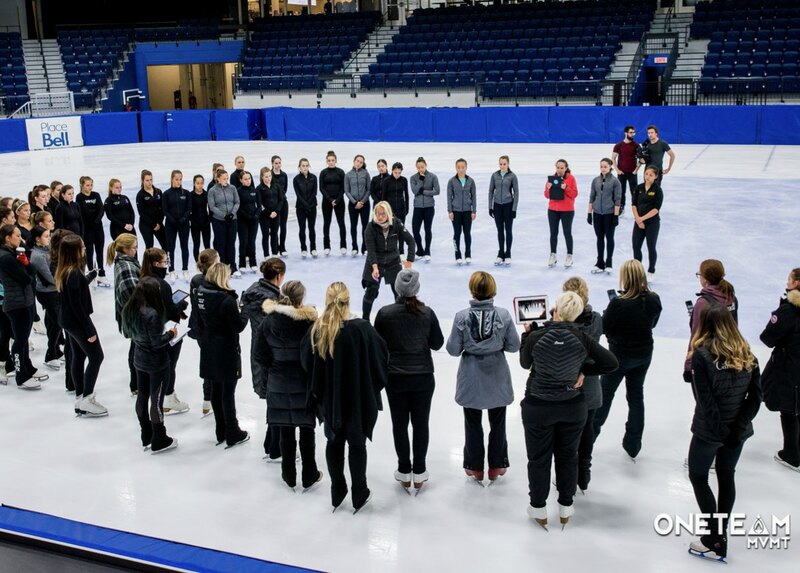 We had group leaders from Nexxice, Haydenettes, Les Suprêmes, Skyliners, Crystallettes, Miami, and Chesapeake who worked intimately with the attending skaters, mentoring them throughout the weekend. For many skaters, that was a highlight for sure. How many skaters and coaches participated in the OTM Camps? Our total count was 235 people, including coaching staff and volunteers. We had 30 local group leaders (current and former Team USA and Team Canada competitors), over 120 participating skaters, and over 40 registered coaches! According to the feedback you received, how did it go? The positive feedback was truly overwhelming. Everyone seemed to love their time with us, learning from some of the best and getting to make new friends. We were so thankful for all of the volunteers who spent their weekend with us and helped to keep everything on schedule and running smoothly. After day one, we heard rumblings of “I can’t wait to come again next year!” which was really encouraging. People absolutely loved learning from our headline coaches; Anu Oksanen & Paula Wagener in Raleigh, and Kaisa Arrateig, Marilyn Langlois & Mitch Islam in Laval. These coaches are world-class, and we were so honored that they were willing to teach at our camp and share their wealth of knowledge with the skaters and attending coaches. Will you have a second edition next summer? Same places? We have always said that what we do depends on what the community wants; it is them that we serve. It’s looking positive for next year in the same locations, and we are also receiving requests to host camps in other areas. Controlled growth is what we are aiming for at this point. For our camps, quality and impact are most important!